This is an option for those who prefer, but it is not necessary. Father Mateo Crawley-Boevey, SS.CC., Founder of the Work of the Enthronement of the Sacred Heart in the home, was born in Peru, South America, on September 18, 1875. At the age of sixteen he joined the Congregation of the Sacred Hearts of Jesus and Mary in Valparaiso, Chile, and applied himself with great zeal to promoting devotion to the Sacred Heart. Animated with the desire to make more effective the promises of the Sacred Heart to St. Margaret Mary, he conceived the idea of drawing families closer to Jesus, the King of Love, by placing the image of His Sacred Heart in a place of honor in the home and thus bringing the family's life into intimate relations with Him. In 1907, a breakdown in health sent him on a trip to Europe. After visiting the Motherhouse of his Congregation in Belgium, he went to Paray-le-Monial in France, overjoyed at being able to realize his desire to visit the scene of the apparitions of the Sacred Heart to St. Margaret Mary. He then went to Rome, where he submitted to a prominent Cardinal an outline of his proposed apostolate for the social reign of the Sacred Heart, together with a rough outline of the ceremonial of the Enthronement. Being greatly encouraged by this prince of the Church, Father Mateo next sought and obtained a private audience with Pope Pius X, who in turn gave his whole-hearted approval and "commanded" the young priest to devote his life to this magnificent work. Receiving this "command" as a mandate from Heaven, Father Mateo at once prepared to carry out his commission, with the approval and blessing of his Superior General. First he returned to Paray-le-Monial to give thanks for this singular grace and to implore light and guidance as well as the necessary health for his mission. As he knelt in prayer at this hallowed spot, a strange sensation suddenly gripped his whole being, and he rose to his feet, perfectly cured. At the same time a clear methodic plan of the work took shape in his mind. It was August 24, 1907. That same evening, he drew up his plan "to conquer the whole world for the Heart of Jesus, home after home, family after family." After making a pilgrimage to the Holy Land, Father Mateo returned to Valparaiso, where he resumed his post of teaching in the school conducted by his religious community. At the same time he inaugurated his crusade for the Enthronement of the Sacred Heart in the home. The work was attended with remarkable blessings ---- clearly indicating that it was truly the work of the Sacred Heart. Fallen-aways returned to the Sacraments, notorious sinners [including enemies of the Church] were converted, the spiritual life of the whole parish was renewed. With the help of many "secretaries" ---- principally children, at first ---- letters were sent to various countries and brought an enthusiastic response. Father Mateo himself embarked on a crusade, literally traversing the world to "preach love," as he expressed it. South America, Spain, France, Portugal, Italy, Switzerland, Luxembourg, Belgium, Holland, England, Scotland, China, Japan, Indo-China, India, Ceylon, the Philippines and Hawaii, and finally the United States and Canada, came under the sway of his fiery eloquence, and responded magnanimously to his appeal "for love for the Beggar of Love." Some of these countries he visited twice and even three times, in response to pressing invitations from the hierarchy and clergy. In his world-wide crusade, Father Mateo's heart and soul, mind and body, combined in a heroic effort to do the maximum amount of good to the greatest possible number of souls. He preached retreat after retreat, usually giving four sermons a day of one hour each. In his younger years he frequently preached as often as eight times a day. 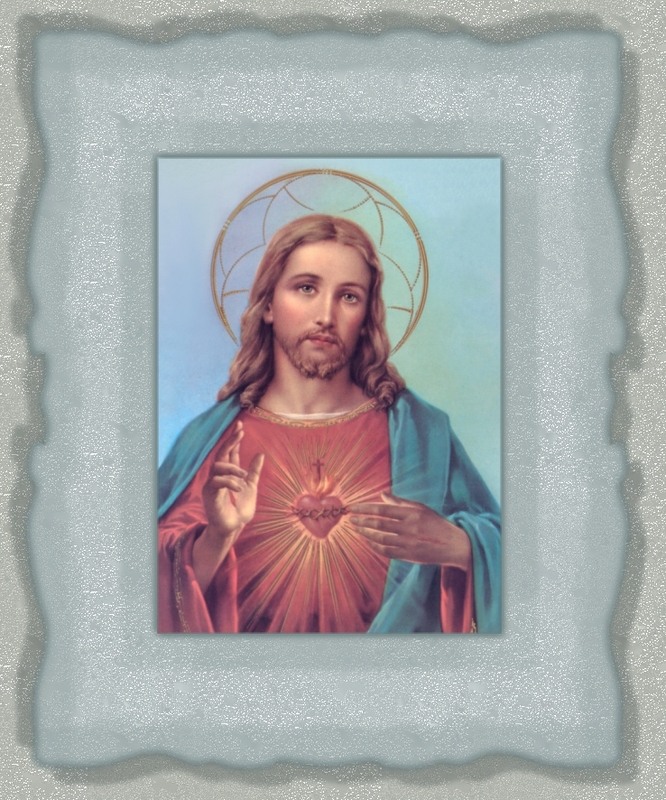 In later years he at times showed signs of great fatigue, but when he rose to speak, his burning love for the Sacred Heart sent a magic current of life into his exhausted body and he spoke with astounding energy and volume of voice. Along with the Enthronement, Father Mateo promoted Night Adoration in the home as a means of intensifying the devotion of families to the Sacred Heart and of offering reparation to Him, especially for sins committed in and by families. He also found time to write books of devotion and various treatises on the Enthronement, as well as periodical circular letters aimed at stimulating the fervor of his fellow-workers in the apostolate. In the course of time, the work of the Enthronement was efficiently organized by the establishment of Enthronement Centers in each country, where priests, religious and zealous lay persons work enthusiastically in promoting both the Enthronement and the Night Adoration. In 1917, the Benedictine Convent of Perpetual Adoration at Clyde, Missouri, became the first authorized Center in the United States, outside the one operated by the Sisters of the Sacred Hearts at Fairhaven, Massachusetts. Each of the five Popes who reigned during the life of Father Mateo gave his full approbation and blessing to the Work: St. Pius X, Benedict XV, Pius XI, Pius XII, and John XXIII. Styling himself the "beggar of love for the King of Love," Father Mateo spent himself unstintingly for the reign of the Sacred Heart over hearts and homes and nations. But he did not seek to attain this end by preaching alone. Rather, his preaching was ever the fruit of prayer, sacrifice and suffering, upon which he depended for the fruitfulness of his apostolate. He also used to very good effect the literary talent with which God had endowed him. But the paramount reality in his life, the sun and center of all his days and the source from which he drew light and strength and inspiration, was the holy Sacrifice of the Mass. To see him celebrate the Sacred Mysteries was in itself a seen more eloquent than any he could preach. He also insisted upon a living, loving devotion to the Holy Spirit, the source of all interior light and supernatural inspiration. Worn out by his incessant labors and by the ravages of various ailments, as well as by the weakness of advancing age, Father Mateo was forced, at length, to give up his preaching apostolate. In the fall of 1946 he was confined to a hospital in Canada, and the remaining years of his life were spent for the most part in his "cloister of the Divine Will," his own term for a hospital. Nevertheless, he continued his crusade of love by writing, praying, and suffering. He still made his Holy Hour each night, and daily offered Holy Mass seated at an improvised altar in one of his hospital rooms, using a privilege granted him by Pope Pius XI some years before. In time, even this became impossible because of his physical condition, and it was one of the greatest privations of his life not to be able to offer the Mass. In 1956, to the surprise of all who knew him, he rallied sufficiently to return by plane to the monastery of the Sacred Hearts in Valparaiso, Chile, from which he had set forth some forty years before. For a time he seemed marvelously renewed in strength and health, but old age and chronic illness continued their ravages, and he died on May 4, 1960, after months of intense suffering ---- a veritable crucifixion. Regarding his well-beloved apostolate, Father Mateo once wrote to a friend: "If you should hear that I have become paralyzed, that I am no longer able to preach, to write, to walk, do not say, 'What of his mission?" No, for as long as I have a heart to love and a body to suffer, I will still be an apostle. I would not then be preaching four or five times a day, but a hundred times, on the cross. In life and in death I will be an apostle, for I love Him, I love Him, I LOVE Him! In sickness and in health, I will be an apostle, for I want all to love Him, to love Him, to LOVE Him!" Beloved Son, Health and Apostolic Benediction!